It’s April 2016 and rainy, but the sun is shining for me: I just registered my own coaching company, Cycliste.nl, at the Chamber of Commerce. WKO+3 and now WKO4 have pushed me toward this achievement. The software makes it so easy and interesting to gather training data from different athletes. In 2013 I attended a workshop organized by Guido Vroemen and Hunter Allen, and it really opened my eyes to training with a power meter. As a fairly new coach, I use WKO4 for tracking several parameters that are important for my athletes, depending on their goals. I have only a small amount of athletes at the moment, but that number is slowly growing. What parameters do I track with WKO4? It goes without saying that for general tracking I use the much-praised Performance Management Chart (PMC), and for tracking progress (or lack thereof) I use the Power Duration Curve. The iLevels supported in WKO4 give me the precise insight into the amount of workouts I need to plan for my athletes for both power and duration. 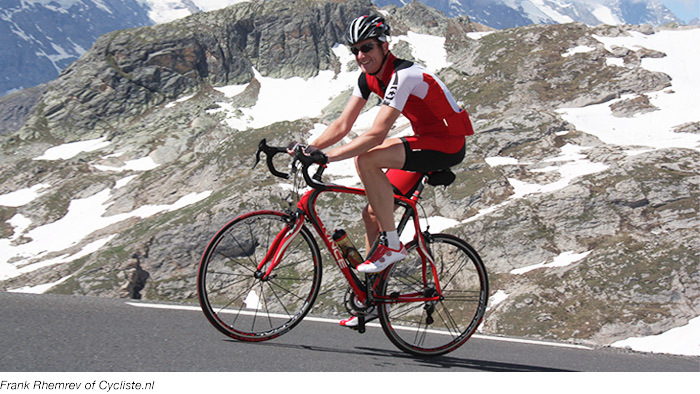 I have a few competitive cyclists in my portfolio, and using the iLevels has helped the progress significantly! 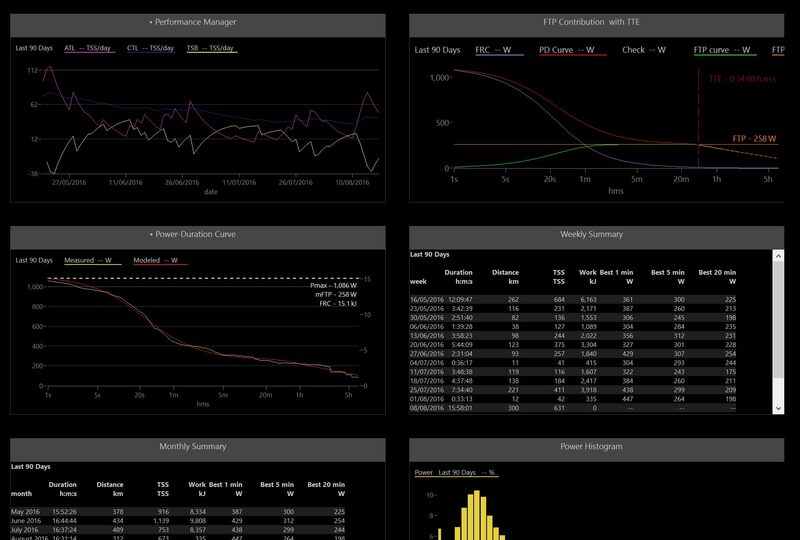 The athlete-level dashboard chart in WKO4 helps me gain fast insight into the training stress of an athlete, as well as that athlete’s PD Curve and the number of workouts performed. The easily-adjustable dashboard has created so many uses for me that WKO4 has for sure become the workhorse of my coaching. The Left-Hand Explorer (LHE) panel allows me to change athletes quickly and view CTL, ATL, TSB, and Ramp Rates instantly. I really LOVE it. The colors quickly help me focus on certain athletes: do I send them an email to kick them off the couch or slow them down some? My athletes are able to use either a Basic or Premium TrainingPeaks account for uploading data, which I can then download using WKO4. This makes the combination of TrainingPeaks and WKO4 such a great toolkit. WKO4 is part of my onboarding process for new athletes. Before they start training on my schedules and with my coaching, I test them using a fixed testing protocol. For the test itself, I use a Tacx Neo and a BSX Insight SMO2 meter. The results are registered in the Tacx Training Software (TTS), which has a nifty option to upload directly to TrainingPeaks. From there I download the test results to WKO4, analyze them, and report back to the athlete. Even though this procedure seems quite complex, it’s basically just uploading and downloading. In the future I hope the SMO2 data can also be registered in TTS and WKO4. The screenshot below shows one of the charts I use for analysis purposes and displays test data from one of my athletes.